Sign up for our e-newsletter to receive all the latest news and updates straight to your inbox. 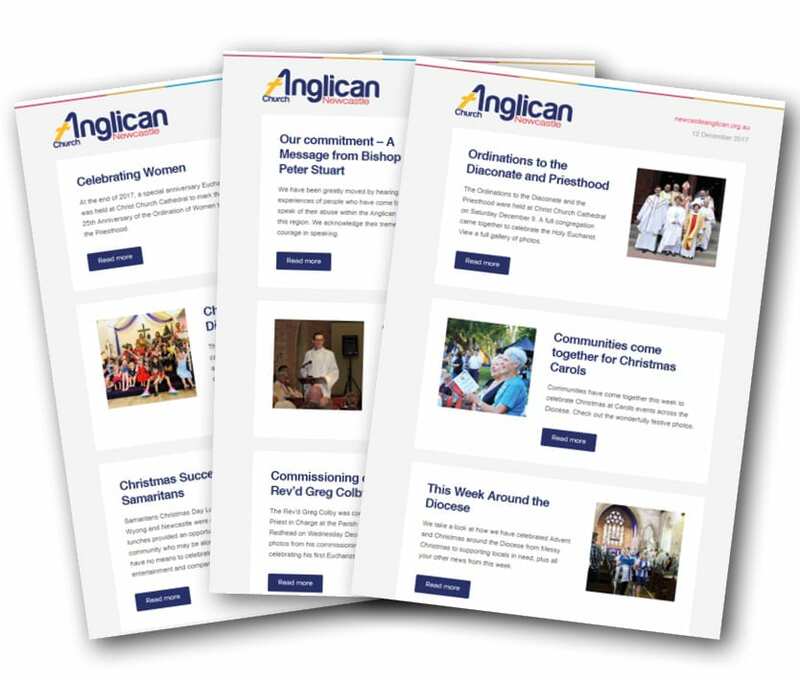 The Anglican Church Newcastle sends out regular e-newsletters with updates from the Bishops, special events, news from around the Diocese, links to galleries and more. Each bi-month you will also receive an online copy of The Encounter straight to your inbox, you can read it anywhere, anytime. Enter your details below to sign up for regular email newsletters.